Sebastian Clifton becomes chairman of Farthings Kaufman bank, but only after Hakim Bishara has to resign for personal reasons. Sebastian and Samantha’s talented daughter, Jessica, is expelled from the Slade School of Fine Art, but her aunt Grace comes to her rescue. 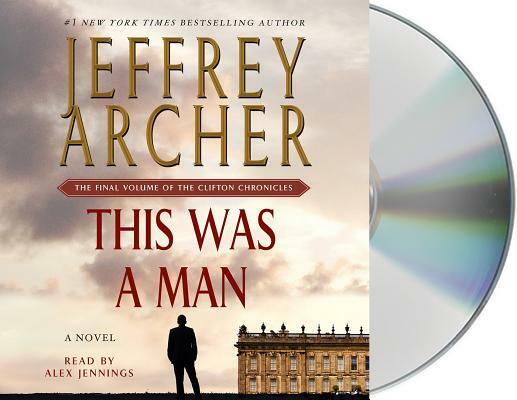 This Was a Man is the captivating final installment of the Clifton Chronicles, a seven-part series that has topped the bestseller lists around the world, and enhanced Jeffrey Archer’s reputation as a master storyteller. Long time series narrator Alex Jennings returns for Archer's final installment of the Clifton Chronicles. On Be Careful What You Wish For, AudioFile says, "Alex Jennings's skillful narration deftly unveils the large cast of characters as they maneuver through the nonstop action...Jennings connects with each character for a satisfying, enjoyable listen."